• The Department of Mathematics was established in 1975. • The founder Principal Sri M.Kasivisweswara Rao was the first member. • Sri Y.Panduranga Rao, B.Siva Rama Prasad and Sri A.KrishnaRao were succeeded his as the first members. • Most of the staff belonging to the Department are well-qualified, and well-experienced staff. • The Department library has a very good collection of books, CD’s and video lectures. • The members of the Department take part actively in our college committees. • The Department organizes guest lectures with scholars of eminence from premier institutions. • Seminars, quiz and other competitions are held to fine-tune students’ skills and to promote the spirit of competition. • To apply for research projects being offered by the UGC. • To boost the confidence of students so as to make them realize the job potentiality and importance of Mathematics. • To offer a certificate course. • To present research papers in various seminars is a challenging task. • To Establishing Mathematics Lab on scientific lines. • To conduct training classes for students to take competitive examinations with confidence. • To organize seminars and workshops for the benefit of the staff and the students. The book entitled “Algebra” in Telugu Medium for B.Sc II year (2015-2016 bearing an ISBN number 978-93-83959-24-2 with Authors D.Sunitha, K.L.Prasanna and N.V.Srinivasa Rao. The book is printed for Sri Krishnadevaraya University, Ananthapuram. The department member Mr. N. V. Srinivasa Rao was published a paper on “A Note on Study of Game Problem Using Simplex Method” in an International Journal of Mathematics And its Applications with ISSN: 2347 – 1557, UGC approved journal, November – 2018. The department members Mr. N. V. Srinivasa Rao and Mr Noor Mohammad are published a paper on “ The Nature of Mathematics” in an International Journal of Emerging Technologies and Innovative Research with ISSN: 2349 – 5162, UGC approved & 5.87 Impact Factor, December – 2018. Dr P.Satyanarayana Sharma, Reader Montisori College of Education, Vijayawada delivered a Lecture on “Speed Maths” on 12th Dec 2016. The department members N.V.Srinivasa Rao and Mohammd Noor are attended Faculty development programme“Laplace Tranforms and its Applications & Fourier series” on 16th Nov 2017 organized by P.B.S.Degree College, Vijayawada. The department member N.V.Srinivasa Rao has attended the workshop on“National Academic Depository” organized by SERO of UGC, Hyderabad in association with NSDL and CVL on 16th July, 2018 at University College for Women, Koti, Hyderabad. The department members Mr. N. V. Srinivasa Rao and Smt D.Sunitha are participated in Two – Day Science Academies’ Lecture Workshop on “Fluid Mechanics” organised by the department of Mathematics & Statistics,K. B. N. College, Vijayawada during 4th – 5th October, 2018. The department member Ms.K.Rajya Lakshmi attended to the Basic First Aid & CPR Training programme conducted as per guide lines of India Red Cross Society & St. Jhon’s Ambulance Association at Dr. Pinnamaneni Siddhartha Institute of Medical Sciences & Research Foundation, Chinna Avutapalli, on 1st November – 2018. The department member Mr. N. V. Srinivasa Rao attended the One – Day Workshop on “Autonomy to Colleges; Benefits & Way Forward” organised by SERO of UGC, at Moulana Azad National Urdu University, Gachibowli, Hyderabad on 4th Feb,2019. Our Mathematics students were participated “Mega Maths Mania – 2017” organized by SDMS Mahila Kalasala, Vijayawada and got Two First prizes and one Second prize on 21st Dec, 2017. Our Mathematics students were participated “National Mathematics Day – 2017” organized by P.B.S Degree College, Vijayawada and got one Second prize on 22nd Dec, 2017. Our department students were participated different events in Andhra Loyola College, Vijayawada on 5th Feb, 2019 and won the First place in Treasure Hunt, First place in Ideology, First place in Poster Presentation and Second place in Ideology. The Department has Book Bank with 192 volumes. The Departmental library is open for both reference & lending purpose. The Department has Learning resources like Charts and Models. Internet facility is available in the Network Resource Center of the College. 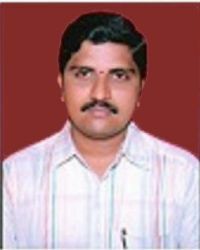 Mr V.Naresh of III B.Sc. 2013-2016 batch student got 500 out of 500 marks in third year semester examinations. 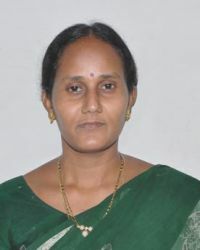 Miss K.Devi Prasanna of III B.Sc. 2010-13 batch student Secured 1 st Rank in KRUCET - 2013. 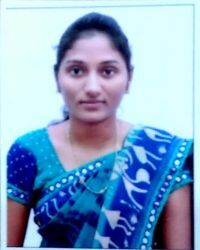 Miss P.Shanmitha Mouni of III B.Sc. 2010-13 batch student Secured 2 nd Rank in KRUCET - 2013. Mr Noor Mohamad of III B.Sc. 2010-13 batch student Secured 18 th Rank in KRUCET - 2013. 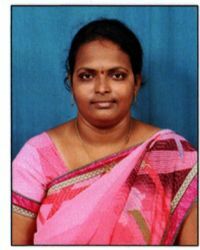 Miss Ch.Nirosha of III B.Sc. 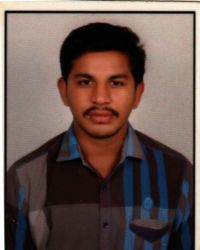 2009-12 batch student Secured 11th Rank in RECCET – 2012, NIT Warangal.